Tony Attwood wrote in his foreword of Delfos’ first and still basic textbook on autism (Latest version: Wondering about the word. About Autism Spectrum Conditions): She reviews each of the theoretical fields of study and then describes our current landscape of knowledge as though from an observation balloon to provide a single explanatory model for autism. The project has been remarkably ambitious but the author has an encyclopaedic knowledge of the academic literature and the various theoretical models, and extensive personal experience as a clinician. 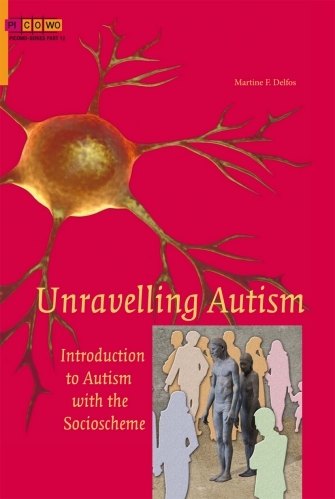 The author also has notable respect for those who have autism and Asperger’s Syndrome and she is able to challenge and change attitudes as well as increase understanding.